Looking for tips on making an escape game? Read tips on designing escape game. Two and half years ago I posted on how “escape the room” games have become physical, they are similar in concept to digital games like the classic The Room insofar you are locked in a room and must escape using logic. Since 2012 escape games have surged in popularity. 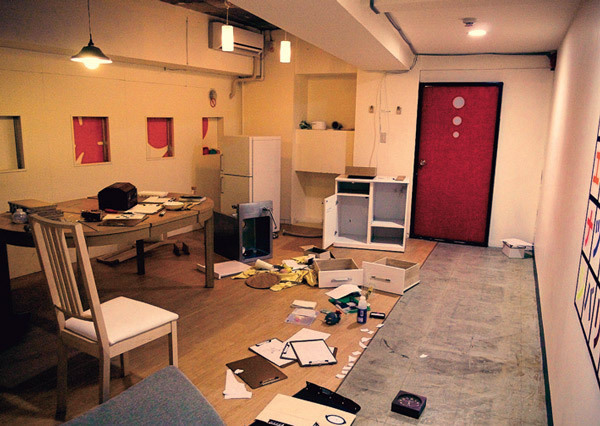 There’s even a Wikipedia page on real-life room escape games. These games have branched out from where they started in eastern Asia and have now landed seemingly everywhere from New York to Prague. Here in Toronto Japan-based SCRAP Entertainment showed up to run a one-off event and there are a ton of other companies entering the market too. One of those companies is LockQuest and I recently had the chance to play test their game – it’s the best room escape experience I’ve had! The obvious question is what made it so good? The first game by LockQuest, Escape the Book Club Killer, aims to improve on the experiences i’ve had travelling around North America playing escape games. For one, we pay a lot of attention to story and character. Too many escape games dump you into a bizarrely decorated room (why’s that bicycle in here?) with no compelling reason to escape other than “the door’s locked.” Cool. How did i get here? Who locked me in? Why are the means of my escape scattered around the room in a tightly-knit logic puzzle format? In Escape the Book Club Killer, all these questions and more are answered in the course of the game. You’ve responded to an invite by a friend-of-a-friend to attend this book club. You don’t know the guy who’s running it, but you’re adventurous, so why not? When you show up, your host seems a little unhinged, and the book he wants you to read – a sleazy pulp novel – is entirely inappropriate for polite company. In short order, he tells you he’ll be back in an hour, and the door locks behind him …. from the outside. Learning from other game designers is not new, but what is new is that Ryan started as a video game designer and this was his first foray into making real-world games. From experience, I can tell you that the basic rule of thumb for anything in the real-world is that everything will break at some point (I’m sure one day gravity will break). Ryan published what he went through transitioning from making digital to physical games. Remember that the medium you choose to make your game in can dictate so much of the experience and the design process! Personally, I find it refreshing to see how many ways game design elements can impact other forms of entertainment and how through that exploration new ideas arise. If you like the idea of escape games and can act then you should know that LockQuest is hiring! Are you interested in making your own escape room? Read my book Escape the Game, available now at Amazon!